Rarely do homes this monumental become available on the market. With a mammoth 7 bedrooms, 3 bathrooms and 8 car spaces this home can cater to the largest of families. Perched on 1298m2 and backing onto a nature reserve, this home cleverly utilizes the large block to fit two homes, a beautiful undercover deck, cubby house, 2 garages and a carport all whilst still having space for the kids to run around in the yard! Stepping into the front of the home there is so much charm and warmth with the high ceilings, brickwork and a fireplace. 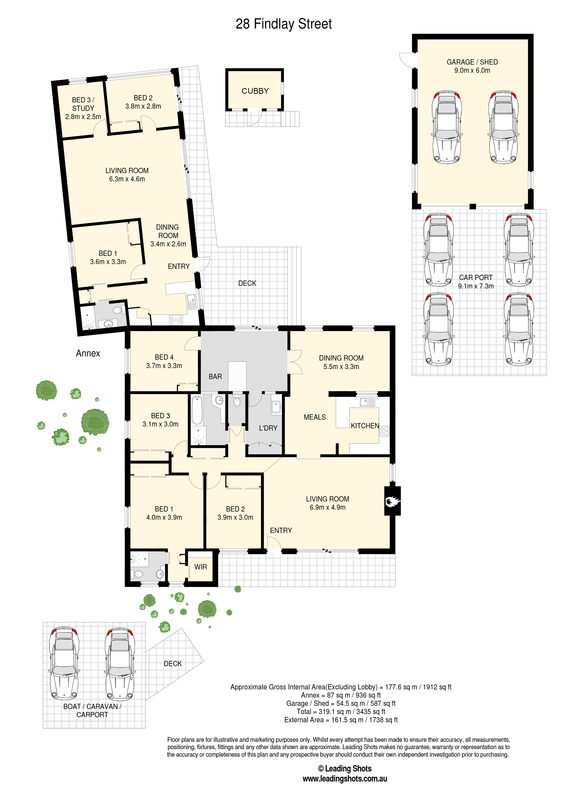 The generous master has an ensuite and walk in robe whilst the other 3 bedrooms all contain built ins. The modern large kitchen is a joy to cook in with induction cooktop and a large pantry. Two separate living spaces allow everyone room to relax. In the summer months take your entertaining outside onto the freshly stained deck or stay inside in the cooler months and hang out in your very own bar! With two separate entrances and two full kitchens, you have the opportunity to rent the back half of the home as a 3 bedroom 1 bathroom granny flat. The granny flat offers a beautiful modern kitchen with stainless steel rangehood and oven. The large living room leads out onto the deck and like the main home overlooks the yard with the cubby house. This home truly has so much to offer that we can’t possibly list everything in the ad, you’ll have to see it to appreciate the potential it has.